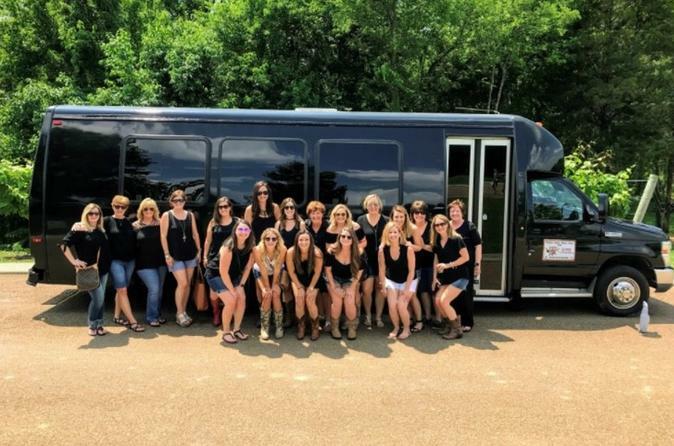 Enjoy this bachelor, and bachelorette themed tour, cruise Nashville in a 21 passenger VIP tour bus with the entire entourage. Visit one brewery, one distillery, and one vineyard in the Nashville area, and have all the fun that you can think of. BACHES, let Barrels Of Fun Nashville take your crew on The BACHville Booze Cruise. We will pick up your party in our 21 passenger VIP Party bus. It has LED'S, TV, BLUETOOTH STEREO, ION KARAOKE, COLD A/C, and most important, THE BARRELS BAR stocked with your choice of mixers and adult beverages. We can also plan your Nashville Bach party from start to finish if you need. WHAT YOU GET: BYOB and stocked Bar, Premium transportation, brewery - tour and tasting, distillery- tour and tasting, Arrington Vineyard Winery -premium tasting.